While we’re very selective about our guest contributors, we do accept high caliber blog posts from marketers and industry leaders. 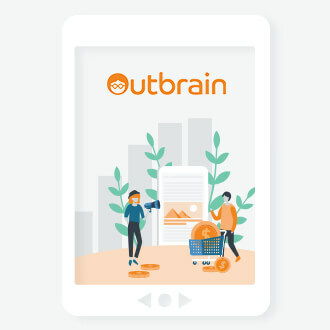 If you’re interested in contributing to the Outbrain blog, please read the following guidelines and complete the form that’s linked to at the bottom of this post. ***Please note: We only accept original content pieces, a “nofollow” link will be credited to the guest blogger. Outbrain is the world’s leading premium Discovery Platform. We connect marketers to their target audiences and we help publishers personalize and monetize their digital properties. Our recommendation engine uses proprietary interest and behavioral data to capture people’s attention at every stage of the customer journey. We work with brands, agencies, SMBs, and publishers on various sides of our business. We’re always looking for great posts that speak to these types of leaders. Our readers are always interested in new ways to use their messaging to reach performance goals, digital marketing best practices, as well as innovative and cutting-edge marketing techniques. We have best unique content on “Marketing/Ecommerce” which we would like to publish on your site as a guest post.Once our content will publish on your site then we will not share it with any other site. Looking forward for a positive response from you. its great to see your blog every time. we have a best unique content on technical and case study and interview related topics which we would like to publish on your site as a guest post.And we make a unique content for Outbrain. Please let us know If we can send the Valuable article to you for review purpose. We are looking for you’re valuable feedback. 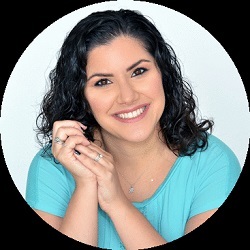 My name is Amy Porras a Digital Marketing Strategist but a blogger at heart. I have a unique content piece that i would like you to consider for your website. I believe it can be useful for you and your website’s audience. Looking forward for your positive response. The information which you shared here is very nice and useful. thank you so much for sharing such a good news. Thank you for sharing your experience and thoughts regarding this post and what it covers. This particular patent and the process it covers didn’t affect search, but rather how customer service was assisted by machine Learning at Google. It’s possible that people working at Google gained experience doing machine learning from a project like this one. I appreciate you sharing your thoughts. Thanks for sharing this amazing blog with us I am learning a lot from this blog, for a long time I am looking for this kind of blog only actually I want to do the blogging for coworking space in bangalore. I would appreciate if you accept a Guest Post for your site. I have a good and unique article on Health topics which would be beneficiary for you. Nice Blog, thank you for sharing this useful information. Hi! I am the Marketing Manager from Alfa Chemistry. I would like to share some opinion about Content Marketing on your website. Thanks for sharing such beautiful with us. I hope you will share some more information about Guest Blogging Guidelines.please keep sharing. Hii , Awesome Guest Post joins , the all connections are exceptionally steady and simple adequate connection, thank you for sharing the decent connections. My name is Sagar Gupta a Digital Marketing Strategist but a blogger at heart. I have a unique content piece that i would like you to consider for your website. Thanks for your information. I am a Digital Marketing expert like SEO, SMM, SMO, affiliate marketing. I want to write a guest post your website that helps me promoted to the unique visitor. 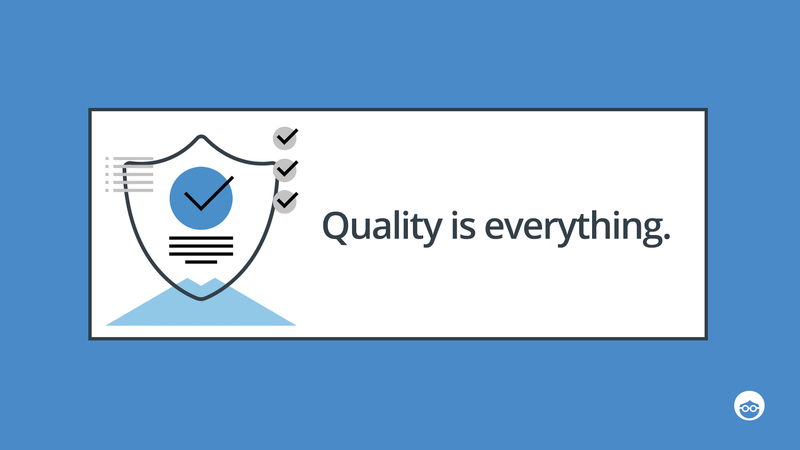 we write SEO friendly Unique content that can help you to get the more organic visitor. I see your website is the most popular website all over the world. I am the CEO of the Trust SEO BD company. We provide SEO service all over the world. I believe it can be useful for you and your website’s audience. I am waiting for Looking forward to your positive response. Nice post I would love to Write some good content here. My name is Jack, and I’m a writer and a journalist. I’d like to write a post to complement content you have on your blog. Let me know if you are interested, and I’ll start working on a post right away. I’d like to contribute to the Outbrain blog with an article about quizzes in marketing – it will be based on a case of one of our customers in the Utility sector who is using quizzes in a very innovative way – they have seen a 74% increase in leads collected since the introduction of the quiz on their site. Such a nice and interesting blog I have ever read. It has given me what I was looking for. Thank you for providing me with such useful information. I hope your doing amazing! I have a unique content peice and a different topic to target on! It would be great if you could get in touch with me! I belive its going to be different and a great fit to your website! My name is Diana and I’m a digital marketing specialist and blogger. Also, I’m an expert in SEO, content, social media topics. I would appreciate sharing my experience on your website. Nice to read this this article. Should I post some good post and share with you for GoodFirms ? Please Can you suggest some sites that helps to increase website Rank? Thank you for sharing such a great blog. I loved reading it. Thank you. I run a company EPIC VILA (www.epicvila.com) which is based on providing home and personal service professionals. I wanted to add my posts to well renowned websites like yours, but the problem is I could not find any option for this category. Can you suggest any other path for me to add guest post? Your site is an amazing hub for all the internet users who loves surfing all day along reading and searching. I read one of your post about Larry Kim and get ideas and share my views in shape of articles. I have an experience and flavor of writing about topics I saw on your website. I have read your posting guidelines and want to publish my articles on the topic of Web Development. It has given me what I was looking for. Thank you for providing me with such useful information.Such a nice and interesting blog I have ever read. Hope you’re doing great. We have unique content available on “Digital Marketing/ SEO”. It will be our pleasure to publish content on your site as a guest post. Kindly let us know if we can share content with you. Looking forward to your positive response. I am a blogger at Chocolak, and I wanted to contribute my work on your platform. To give away my knowledge to the people and your platform is the perfect spot to do so. I like showcase delicious DIY chocolate recipe and interesting stories related to it if you allow me. These are easy and homemade recipes which are going to help your audience and will encourage them to engage with the site for more content. Also, I want to contribute my work regularly with exciting content. I don’t know my work is that caliper to publish on your platform, but people always enjoy reading it. Probably because I enjoyed it while writing. So, judge me after reading my content. Please reply me what are you interested in so that I will share the respective work. Eagerly waiting for your reply!!! I’d just like to say that I appreciate the fact that you can ripple your thoughts throughout the whole world and be of help to your readers simply by sharing them the things that you learned over the years. And I’m glad that we’re on the same page. I’m John Hickox I have some articles that are newly created. Let me know if you’re interested and I’ll send to you my articles. Kindly send me a feedback about your thoughts on this. I’m a regular reader of “outbrain”. I truly liked the blog post that you wrote on your website. I’d love to share my insights with the readers of your blog in a guest post titled “5 Technical On-page SEO Hacks to Improve Organic Traffic”. In this post, I’ll discuss some key points including “How do you get a mobile-friendly site?” “Regularly Update Your Website Map for On-site SEO” “How can you increase internal linking?” and more. The word count of the post will be no less than 1000 words. We are into the field of providing numerous technical training to the professional engineers of well esteemed companies. I want publish some technical content to your site and soft skills content also. Please give me permission to publish my content to your site. We are eagerly waiting for your positive response. its great to see your blog every time. we have a best unique content on Digital Marketing and Seo related topics which we would like to publish on your site as a guest post. Thanks a lot for sharing your ideas. Really the information you have shared is incredible. Appreciate it for your great effort to share this wonderful post. I am Vineeta Joshi, having 7 years of brand experience and working as SEO Manager at Ziploan.in . Ziploan is an NBFC that provides collateral-free small business loans. Since you already publish guest posts from different authors in your niche, I thought it would be nice if I too have an opportunity to present your blog’s readers with something of real value. Over the recent past, I’ve contributed guest articles to several niche industry blogs. I understand the need for unique and well-researched content. And I’m also very passionate about any topic or subject that I write about. I’m a regular reader of shoutmeloud. I truly liked the blog post that you wrote about a post on their site. Since you already publish guest posts from different authors in your niche, I was wondering if you would be open to more original, high-value content for your blogs. I have a blog for sailing tour in costa rica. If you are add your website then contact me. I am an online content writer with Conservation Construction, and I would like to have one of our highly educational exciting blog posts listed on your website. We are a company that sells windows and doors. If you would like I can send you a link to one of my articles. We’d love to have a guest post on your site. I am excited for any opportunity you could give me in this regard. I really loved your blog and I’d like to post my articles on your website. I will provide you articles on digital marketing services and their latest trends. The niche is related Business Marketing and Advertising. I’d need you to add 1 or 2 links of my desired website. Looking forward to your reply. Hi Hope you are writing well as always you are.I am so happy after reading your blogs.Hope you always write these kinds of subject related blogs. I have been roaming around google to find the best guest posting sites and my search gets a value here. I would like to ask if you’re still accepting guest posts, as I had an idea for a post that I feel would be perfect for your site. Basically, I was thinking something along the lines of 10 exercise to reduce weight in home ’here i would discuss about how to reduce weight? what meal you should use to reduce fat on your body? Nice blog, its very Informative post. This is Daniyal Afzal, I am a content writer and Business development specialist currently working at DevsEnsing. I have a unique topic of success and failure in digital marketing given you guidelines. Please advise the process of submitting the content for the blog post.